I LOVE SEATTLE, including all the iconic things you have to do on a visit: going up the Space Needle, watching people throw fish at Pike Place Market. Checking out EMP, doing the Underground Tour. Making the pilgrimage to the original Starbucks. But unless you’re only in town for 24 hours (and I sincerely hope that’s not the case), you’re going to need more. Luckily, there are plenty of other amazing spots, ones you might not find in the guidebook literature. So do all of the above. Then, when you’re ready, visit these seven places. There are 107 stairs to the top — get ready to climb. 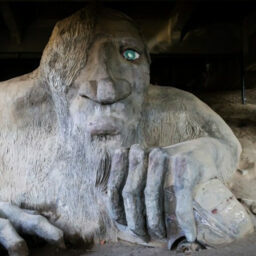 You’ll be rewarded with a 360-degree view of Seattle as well as a mini-museum with information about the city’s history. Photographers take note: The water tower windows are grated, so be prepared to crop your skyline shots between the bars. Find it: 1247 15th Ave E, in the southeast corner of Volunteer Park; if you’re on the bus, take the 10 to the 15th and Highland stop. Anyone who’s in any way into rock climbing should make plans to spend a few hours at Stone Gardens. If you’ve never climbed before, no worries; it’s a great place for beginners as well as experienced climbers. The first time I went, I could barely ascend a 5.5 wall (climbs are graded numerically, and 5.5 climbs are some of the easiest), but I still had a great time learning the ropes — literally. If you’ve got kids, there’s a sloping dinosaur wall for an easy intro climb. If you prefer outdoor climbing, Stone Gardens just expanded its outdoor wall this summer. And if you’re traveling alone, there are auto-belay walls so you can climb without a partner. After you finish at Stone Gardens, walk down the block and have lunch at the Kiss Cafe. This quirky spot sells an astonishing number of sandwiches and all-day-breakfast options, from the Battered Elvis (peanut butter and banana in French toast) to the Thanksgiving Hangover (turkey, stuffing, and cranberry sauce between two slices of bread). Want it now? Order the Veruca Salt — which costs $1,000 — and get your order delivered before everyone else’s. Find it: 2839 NW Market Street; Stone Gardens is on the far west side of Ballard, but both the 40 and the 44 bus will get you there if you’re willing to take a long ride. I’d recommend driving. If you’re a boat nerd — and in Seattle, you can’t really help but pick up the bug — you’ll want to stop at the Center for Wooden Boats. You’ll see more than 100 historic boats, most of them wooden, and all of them fascinating examples of structure and design. 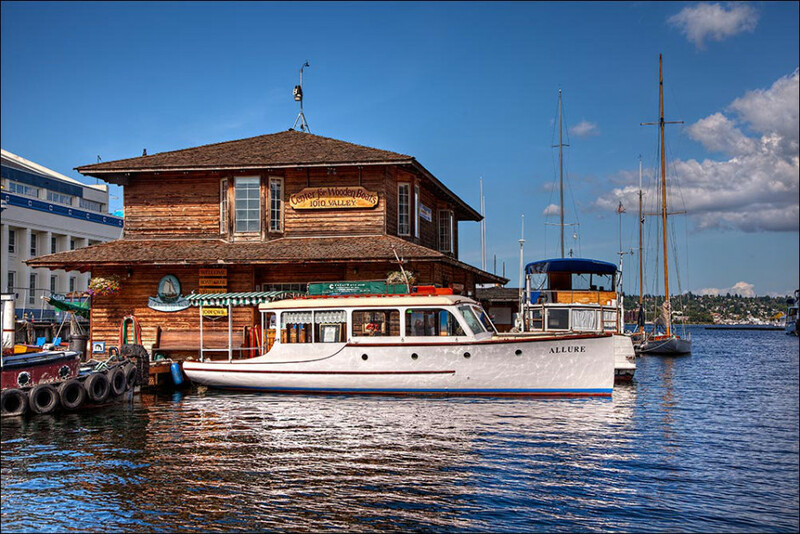 If you need a little extra incentive to geek out on boats, the Center for Wooden Boats is right next to the Museum of History and Industry. It focuses on both historical and new innovations in machinery, health, music, and more. Together, these make for a great afternoon of museum-ing. Find it: 1010 Valley St; take the 70, the 71, the 72, or the 73 to Fairview Ave and Valley. You’ll know it when you see it. 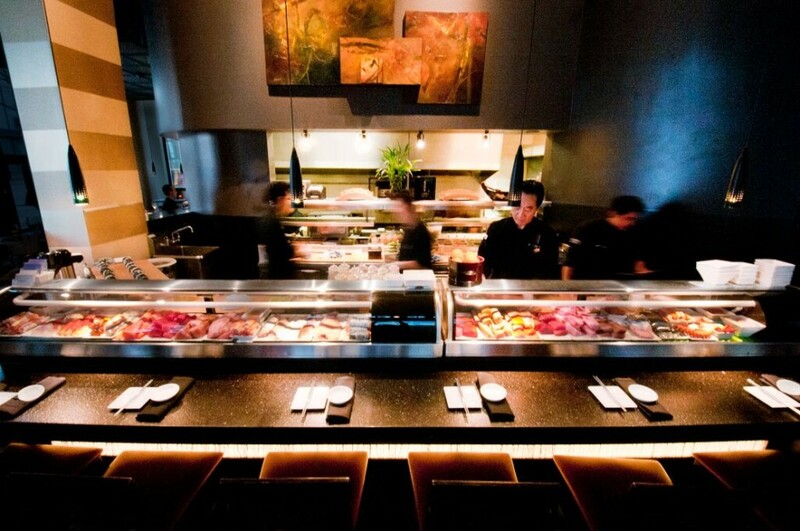 My first trip to Japonessa Sushi Cocina came right after visiting the nearby Seattle Aquarium. We heard stories about the aquarium’s very smart octopus, who liked to climb out of its tank at night, and then I went to Japonessa and ate octopus for the very first time. Since then, it’s been my go-to for special occasions. Yes, it’s a fancy place and you’ll pay fancy prices. If you want to sit in the main room, you’ll need a reservation, but there’s a side room (plus the bar) for walk-ins. Japonessa mixes Asian and Latino influences to create sushi rolls like the Orange Crush, which combines crab, sockeye, and salmon with cilantro, coconut mango, and shibazuke pickle. I like to order the Spicy Redhead, first because of the color of my hair and second because it includes salmon, avocado, and chili allioli. I’ve also ordered the Chef’s Choice sashimi, and although I don’t know if it came directly from Chef Billy Beach, it was one of the best sashimi experiences I’ve had. And don’t forget about the cocktails — they’re good and they’re strong. Find it: 1400 1st Avenue; a lot of buses stop on 3rd Avenue and Union, so walk south from there. Or take the Metro to University Street Station at 3rd Avenue and University. You’ll be very close to Pike Place Market, the Aquarium, and a lot of other popular downtown spots. 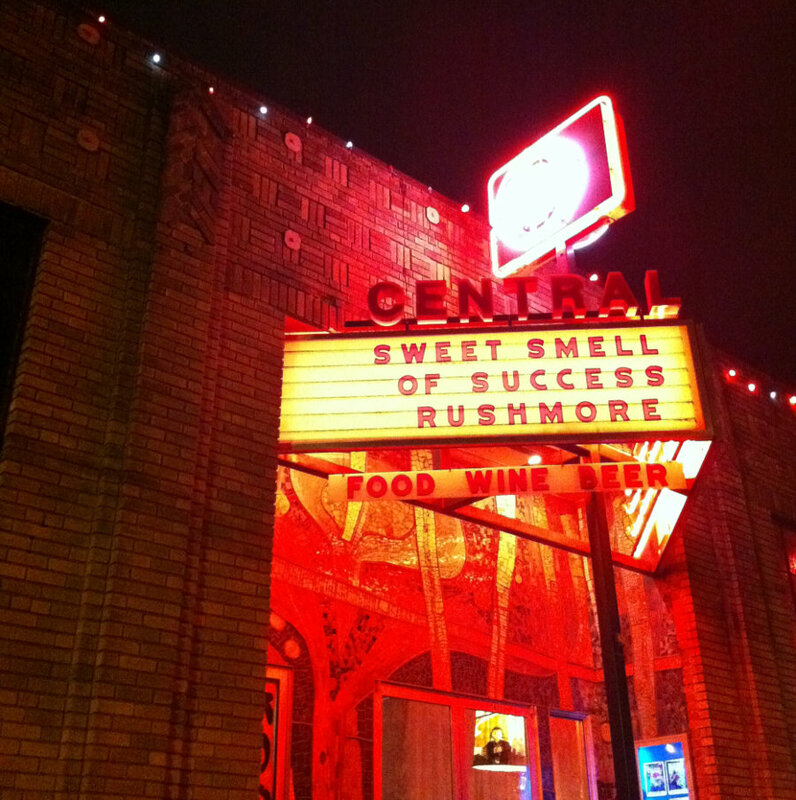 Central Cinema makes its business screening cult classics, from Hackers to The Big Lebowski. They also host musical sing-along nights, so if you’ve ever dreamed of matching pitch with Catherine Zeta-Jones in Chicago, now you know where to go. Check to see if your screening includes Hecklevision, a system that allows the audience to text insults and heckles directly to the movie screen. I’ve heckled Joss Whedon’s Serenity at Central Cinema, and there’s nothing like a group of Browncoats picking apart their favorite film while simultaneously picking apart Central Cinema’s nachos plate or garlic cheese bread. Yes, this is one of those movie theaters that has tables in front of nearly every seat, and lets you enjoy both food and drinks (including cocktails) during the films. You can get a full meal, too; their lasagna is amazing, as is the cardamom soda. Central Cinema also has special theme events, like Cartoon Happy Hour: Arrive at 5pm and watch two hours of family-friendly cartoons. Order dinner for the kids and drinks for the adults. Find it: 1411 21st Avenue; a lot of buses will get you within walking distance. If you’re coming from downtown, take the 2 to Union and 20th. Coming from the north? Take the 48 to Union and 23rd. 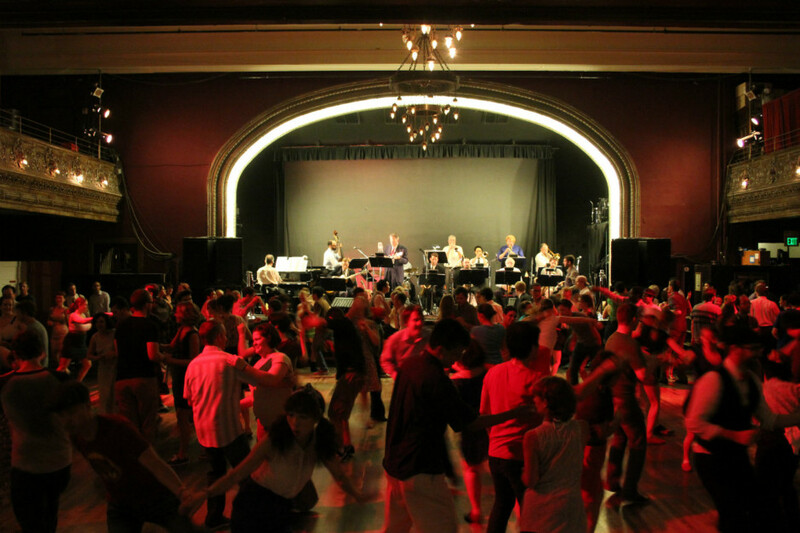 Seattle has a huge social dance culture, and the Century Ballroom is one of the most popular dance spots in the city. I’ve been taking lessons here since the beginning of the year, and have mastered both the Charleston and the Reverse Charleston. Drop in for one of their nightly dances, which focus on everything from Lindy Hop to Kizomba. Check their events schedule to confirm, but they’re generally set up for two dance styles each night, one in the main ballroom and one in the West Hall. Switch between the two rooms as often as you want. If you’d like a mini-lesson before you dance the night away, show up an hour before the nightly dancing starts for a quick course in rock steps and mambos. (Again, check the schedule; most of their dance nights have mini-classes, but not all.) When you take a class, be prepared to rotate partners — after all, it’s called “social” dancing for a reason. And if you needed one more reason to go to the Century Ballroom — it’s next door to Seattle’s famous Molly Moon’s ice cream shop. Find it: 915 East Pine Street; this is a 15-minute walk from downtown or from the Convention Place bus station. It’s also accessible via the many buses that go down Broadway. This is one of my favorite places in the city, and I love it in part because it’s a true Seattle secret (I discovered it by accident while taking a walk). The Louisa Boren Lookout is a small, quiet park with a sculpture and a few benches. 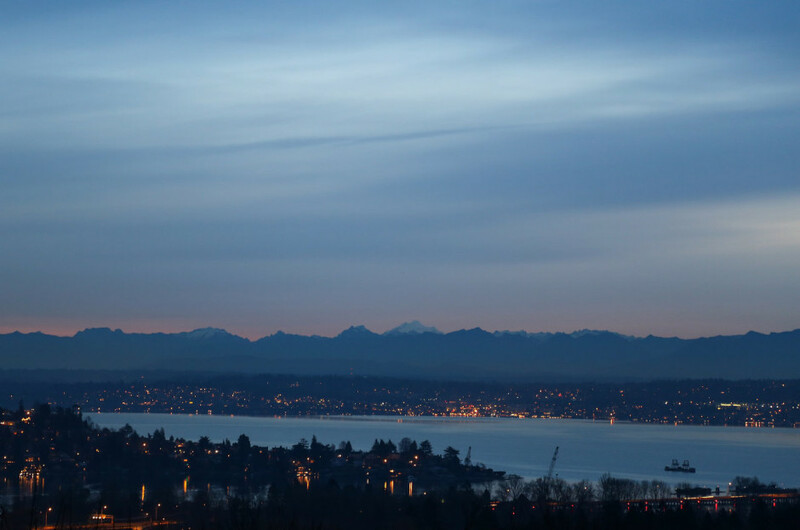 What makes it special is the view: an incredible panorama of Lake Washington. It’s an ideal place to go and relax — take a book, or take a date. There’s a jogging trail nearby if you’re into running, but I prefer to stop in the park, look out at the water, and just be. I always feel so calm and refreshed afterwards, and very glad I get to live in this amazing city. Find it: 1606 15th Ave E; this is the only tricky one on the list, logistics-wise. Take the 10 to Grandview Place and Garfield, then turn left onto Garfield. 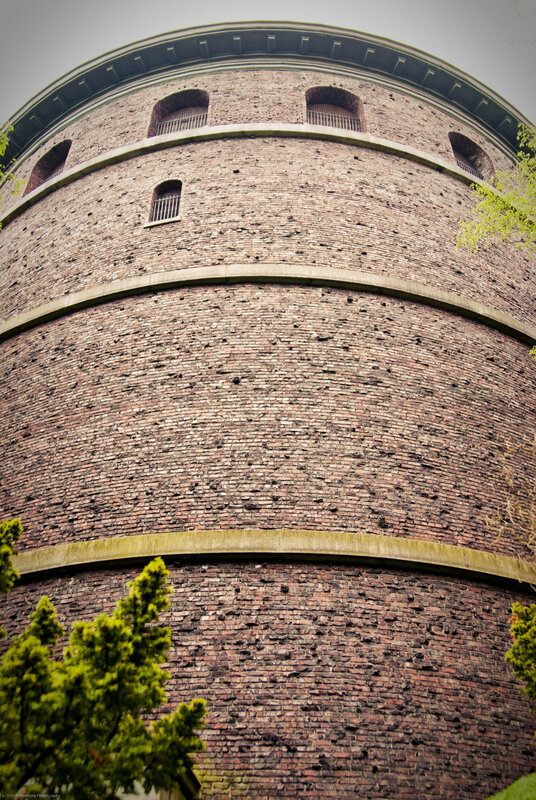 The Louisa Boren Lookout is to the east of Volunteer Park, so make sure you don’t end up in Volunteer Park by mistake. It’s probably best to put this one into your phone. Nicole Dieker is a freelance writer, copywriter, & blogger. She's a regular contributor to The Billfold, Yearbook Office, The Freelancer, and SparkLife, and an occasional contributor to The Penny Hoarder, Boing Boing, and more. I lived briefly in Seattlre and I only wish I had read Nicole Dieker’s palms and saw this in her future. That Lookout place sounds wonderful! Come write for The American Reporter, Nicole!